Binding Heal is a 1 Mana Cost Common Priest Spell card from the Journey to Un'Goro set! Restore 5 Health to a minion and your hero. There is no flash heal anymore. Better on its own, worse as a damage source. It is certainly a really strong card if with a strong taunt on the board against aggro decks, but it needs minions on the board to function well. It really has a priest identity, though, with requiring decent board presence to function. I just don’t think healing is worth enough to play it in decks, though I am not very sure on the power of this card. Time will tell. Not exactly Powercreep. 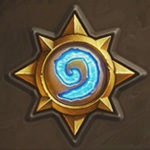 Flash Heal had potent synergy with Embrace the Shadows and Auchenai Soulpriest, both of whom turn the spell into damage. 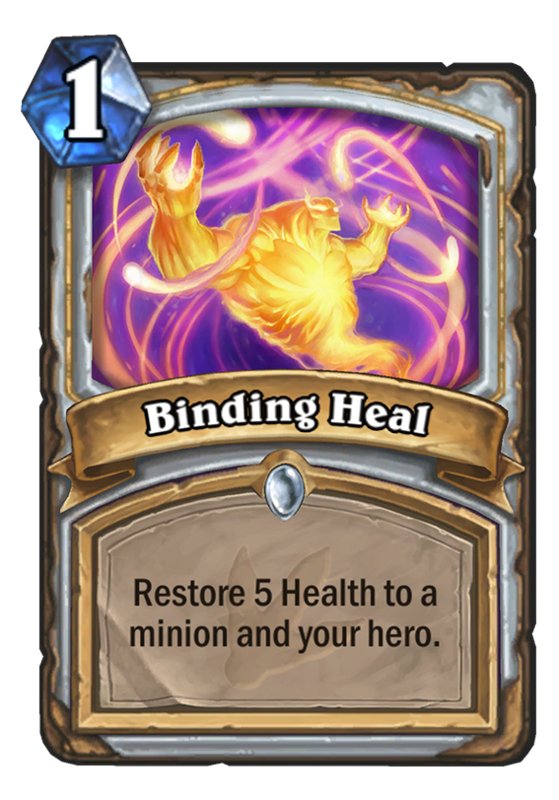 Binding Heal has negative synergy with those spells (and can’t affect the opposing hero at all). Priests tend to have less minions on the board so finding a good target for this spell can be problematic as well. Can’t heal what’s already dead. Yu-gi-oh had a much bigger power creep, though over a much longer period of time. Also this is much worse with damage—>Heal effects and you can’t play it with no minions on the field. The real purpose of flash heal is to deal damage when reversed, this does it so much worse.